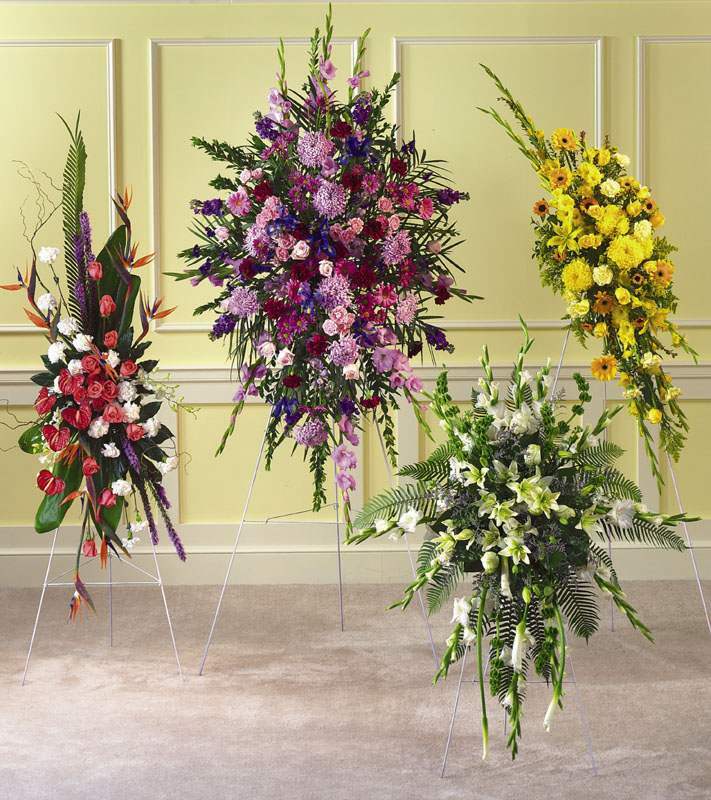 When the need arises for funeral flowers, the compassionate staff at Living Creations will be there to assist you through this difficult time. 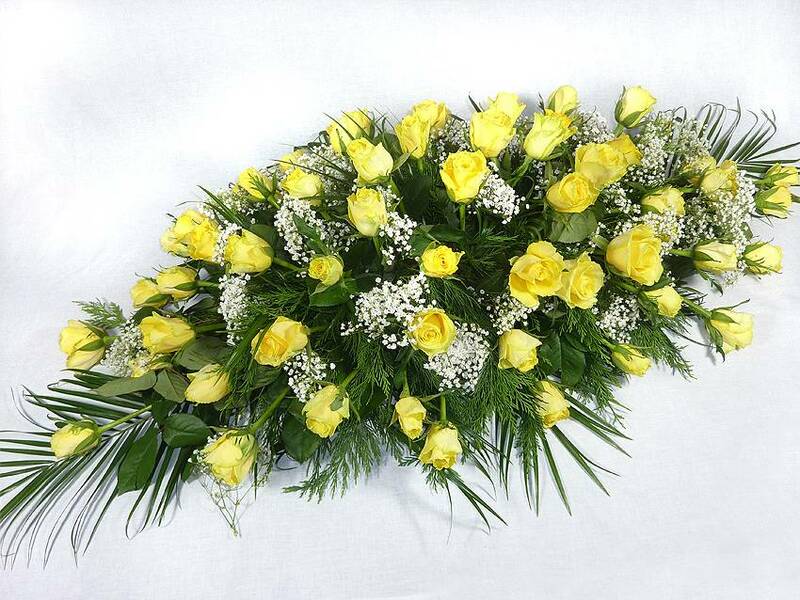 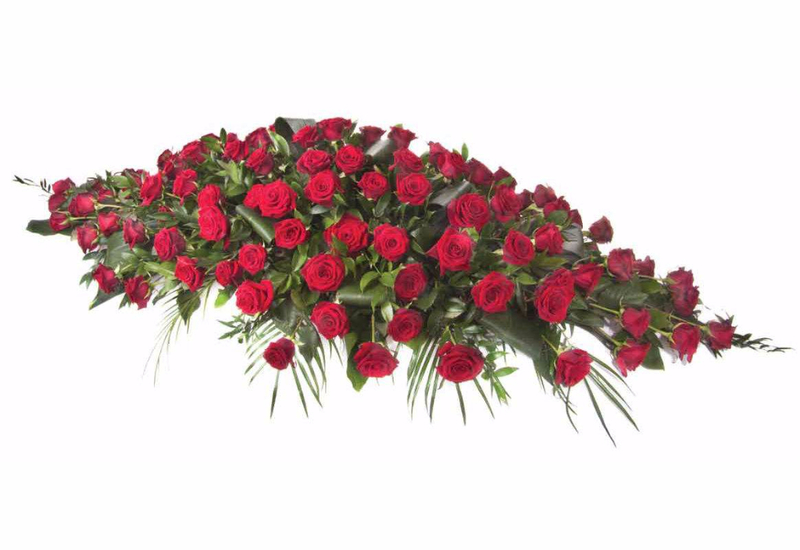 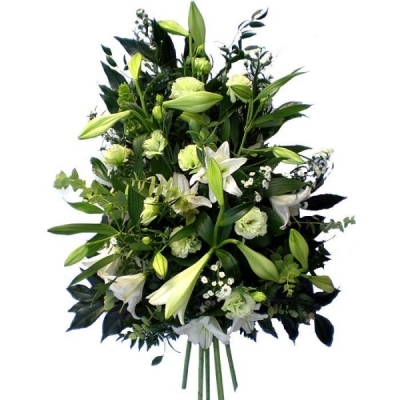 Funeral flowers are the traditional way to express your condolences and to show your respects for the family and friends. 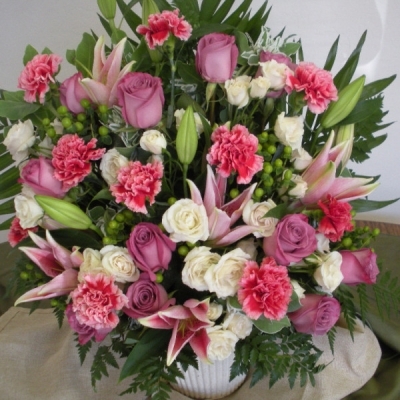 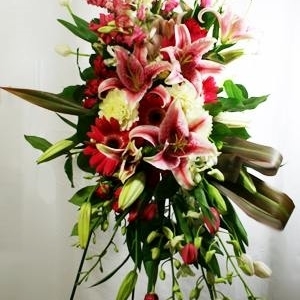 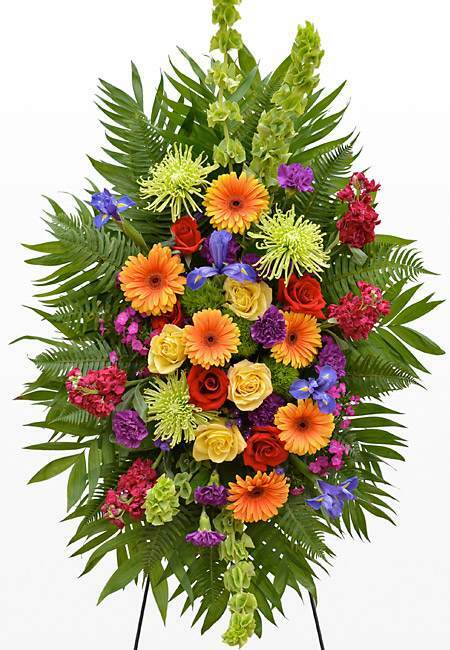 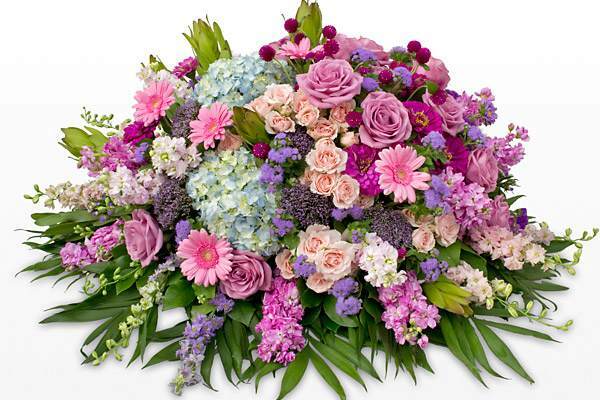 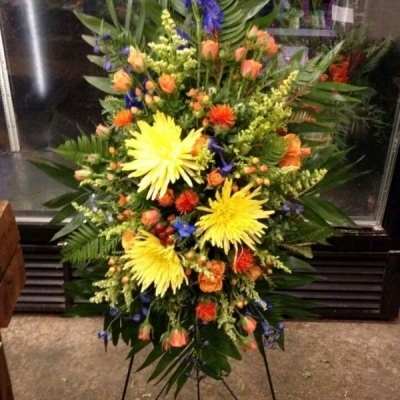 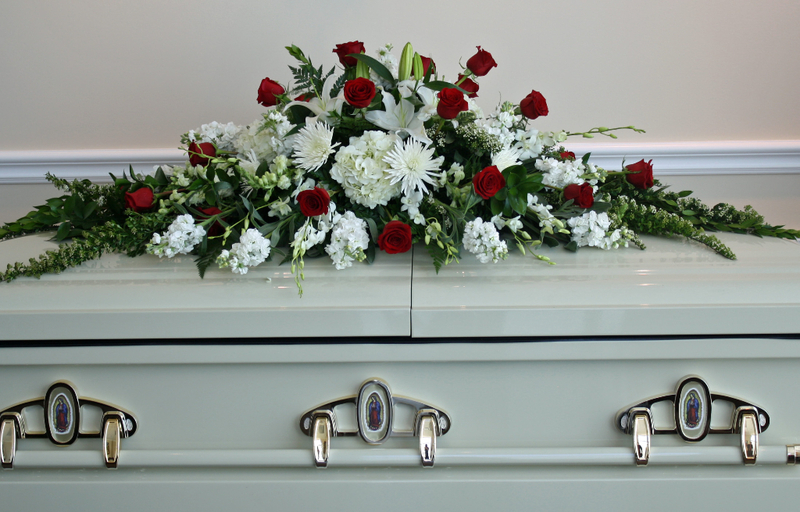 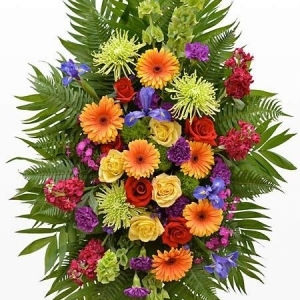 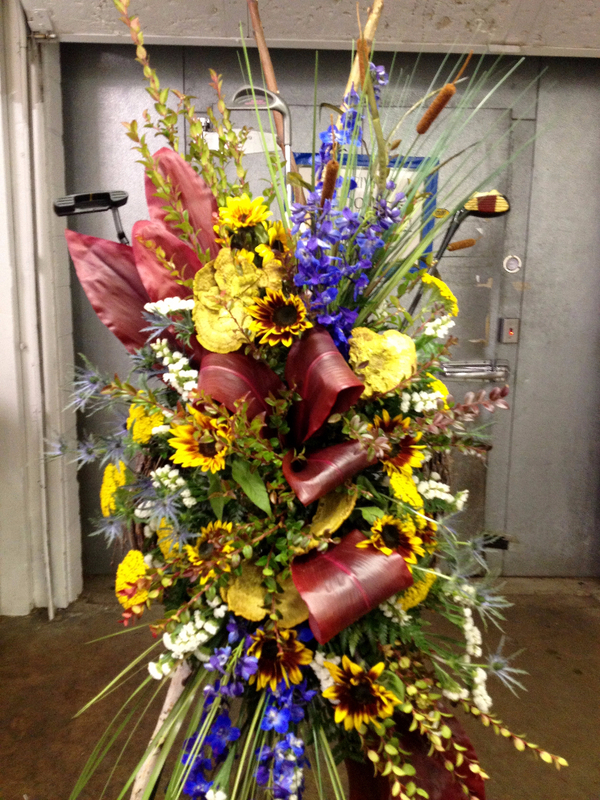 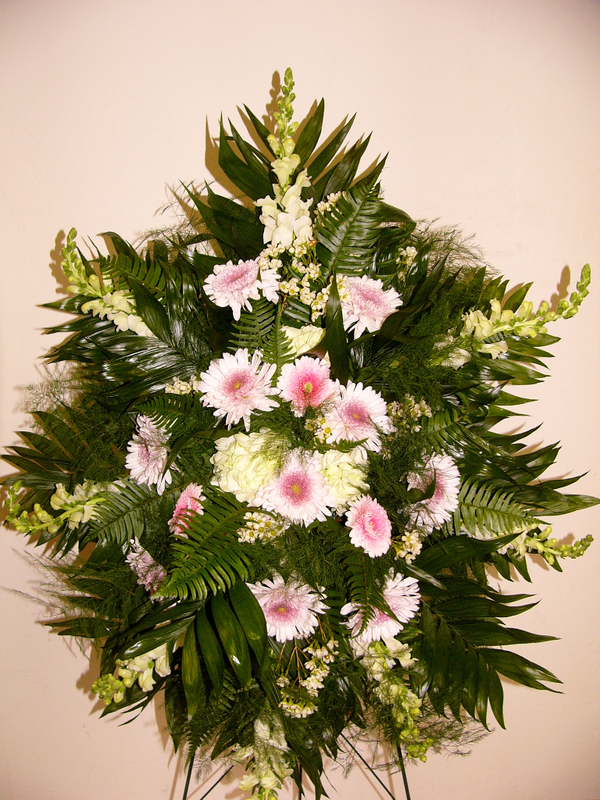 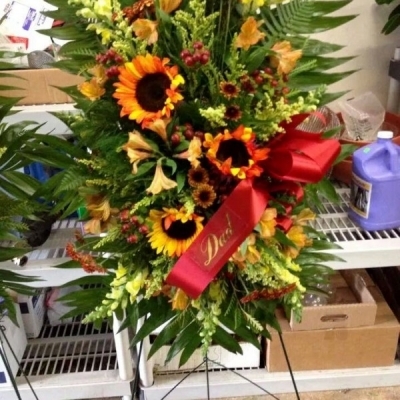 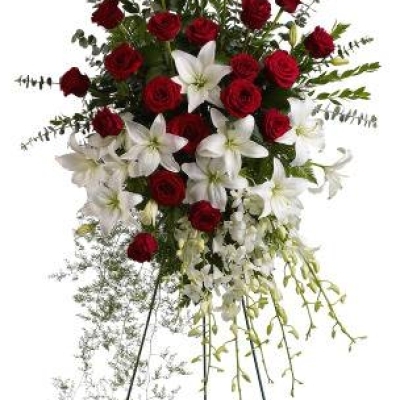 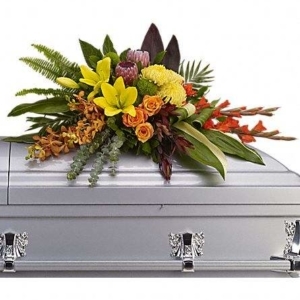 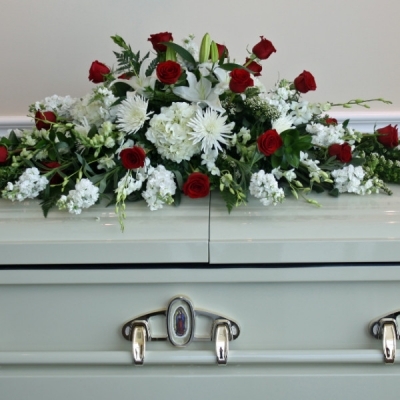 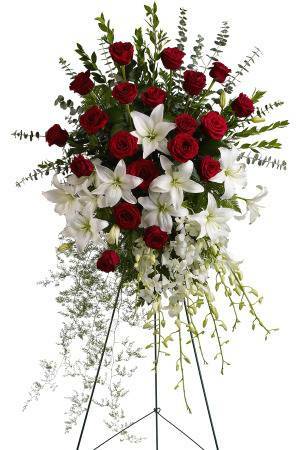 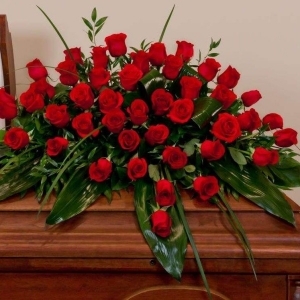 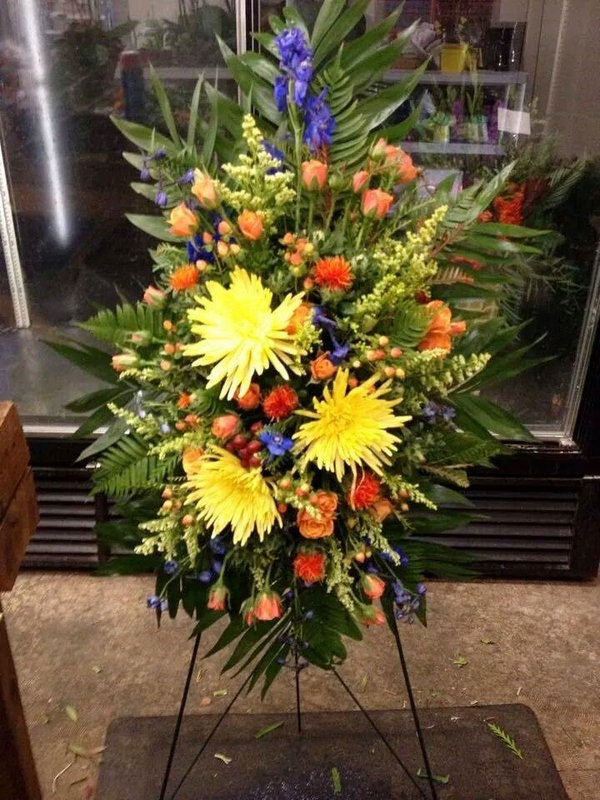 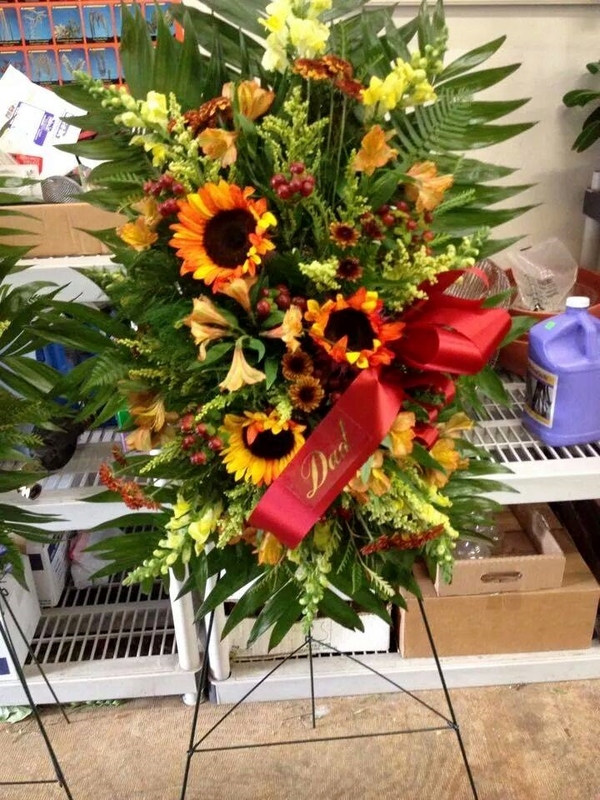 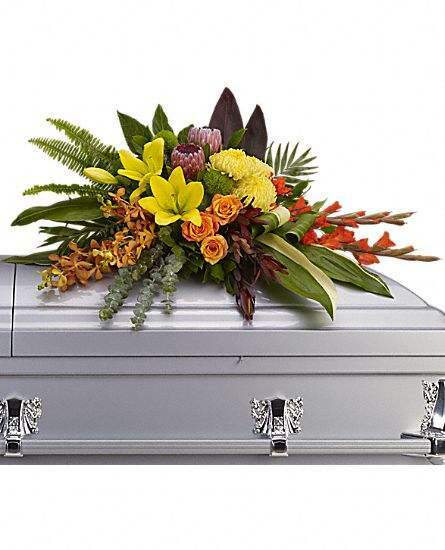 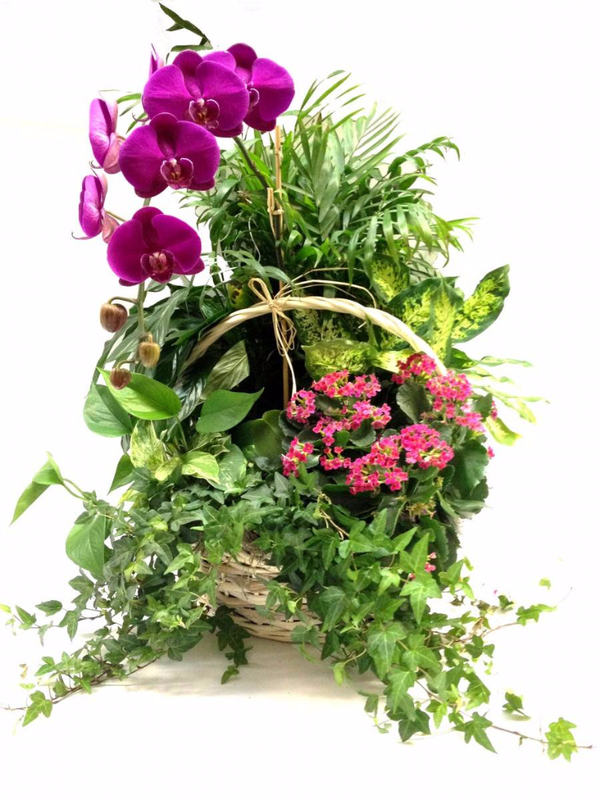 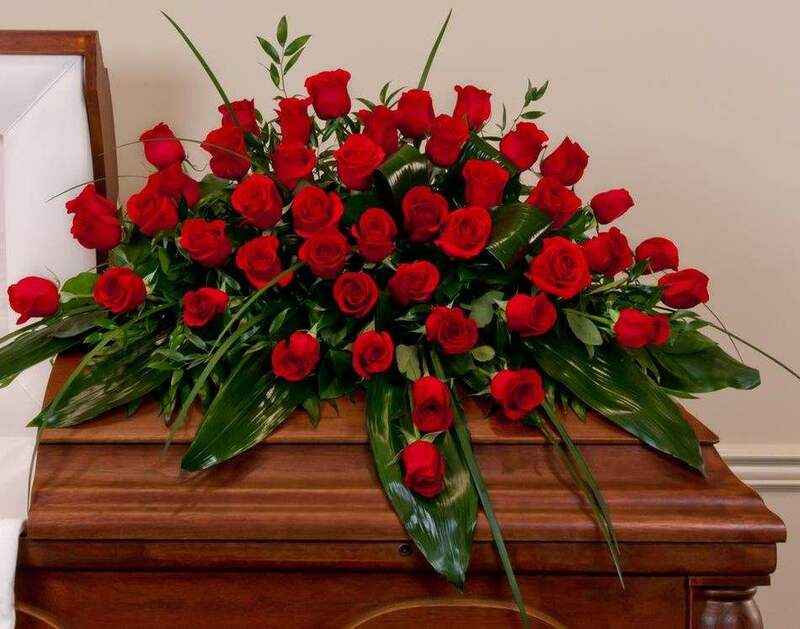 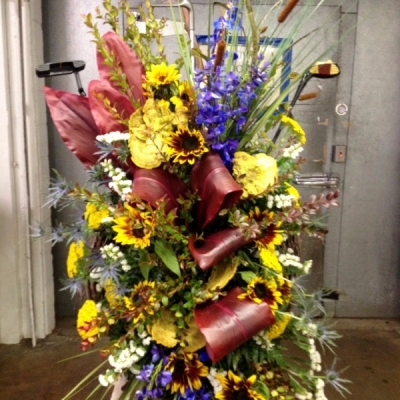 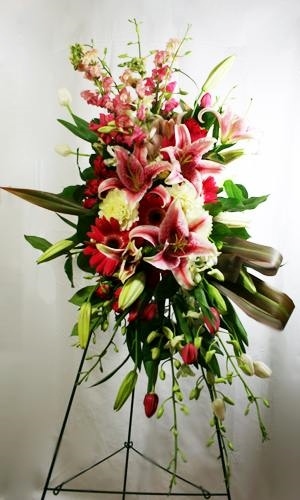 Whether you need flowers for delivery to the mortuary, the funeral service or to the home, trust Living Creations to convey your message of sympathy and regard. The passing of a loved one can bring grief and sorrow, but it also marks a period of reflection and remembrance. 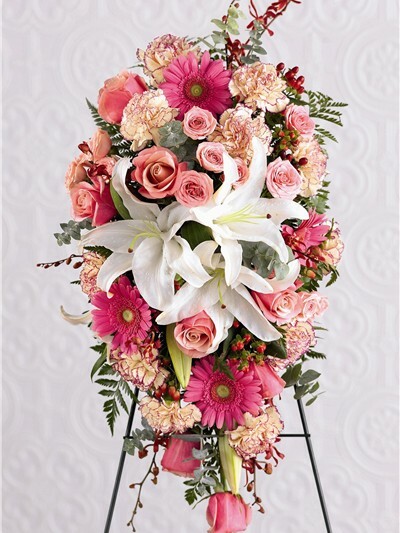 Custom flower arrangements, standing sprays and sympathy wreaths are the ideal way to pay tribute and acknowledge your respect for a life well-lived. 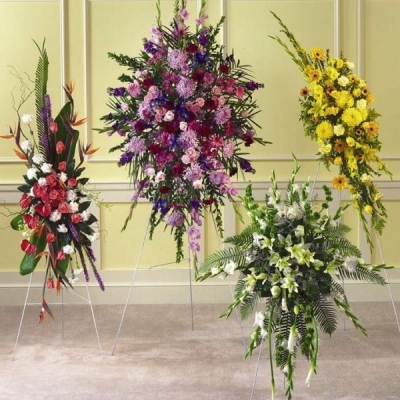 For the bereaved family and friends, funeral flowers demonstrate how much their loved one was valued and how deeply his or her passing has affected the community. 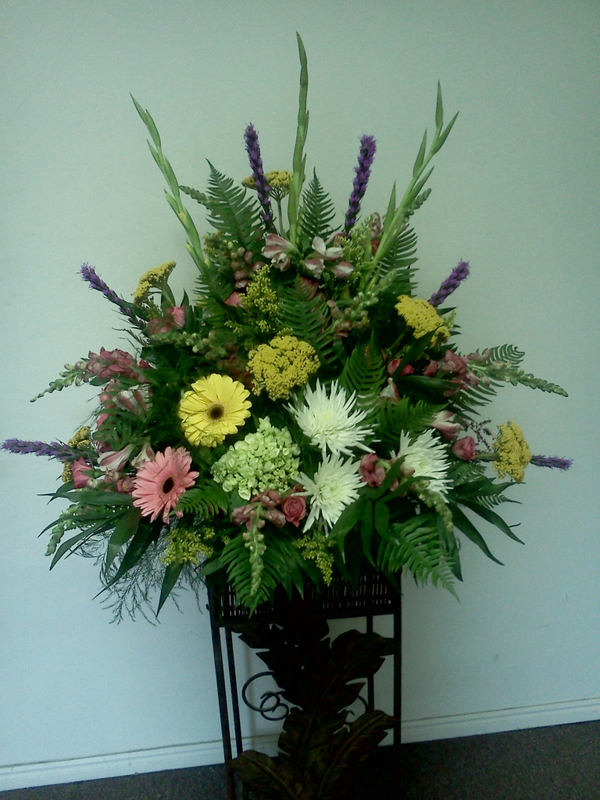 The symbolic gesture of floral arrangements signifies the beginning of the healing process and the rebirth of hope. 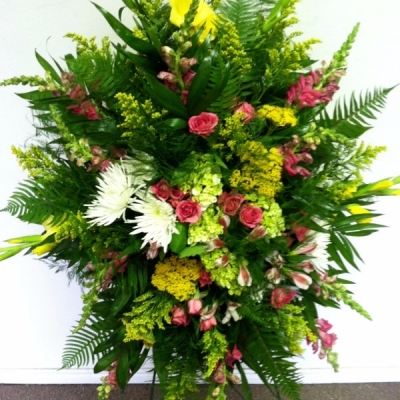 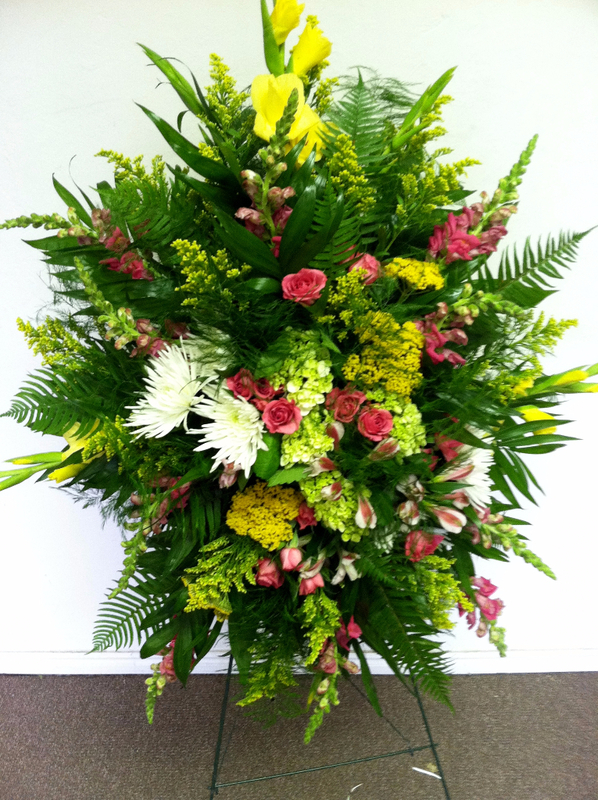 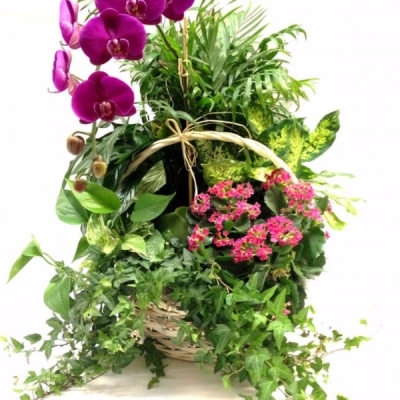 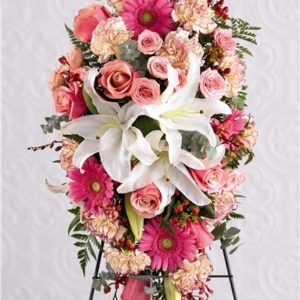 The compassionate staff at Living Creations understands that you want your memorial flower delivery to be as unique as your loved one. 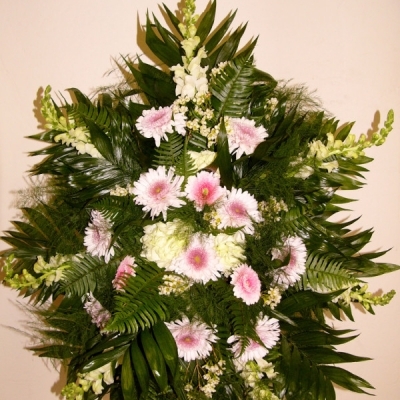 For that reason, we custom create every casket lid piece, funeral urn and memorial basket by hand, based on your specifications. 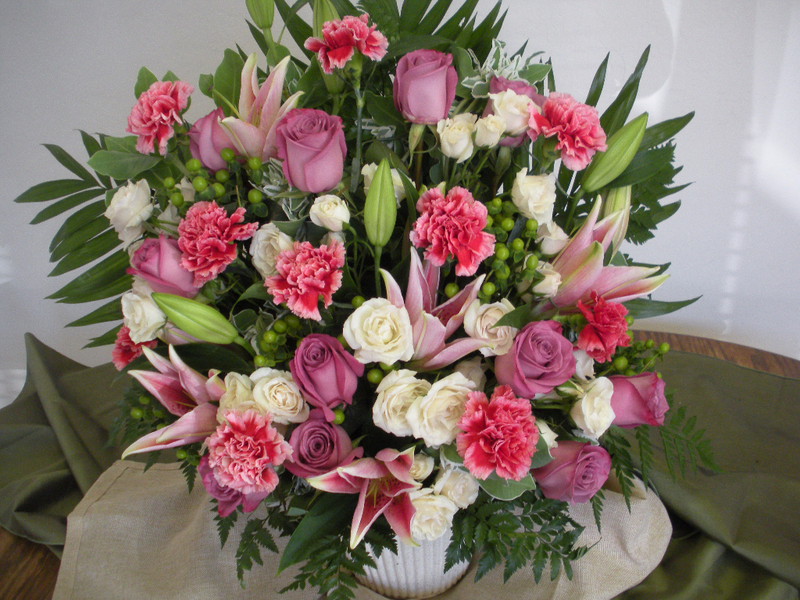 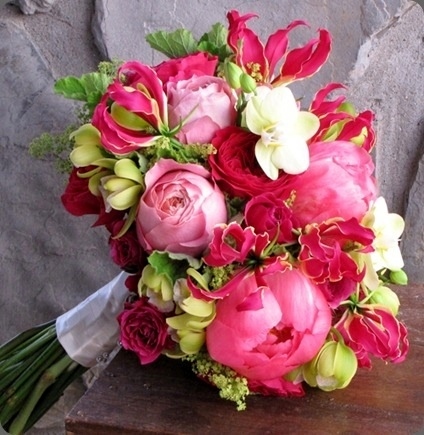 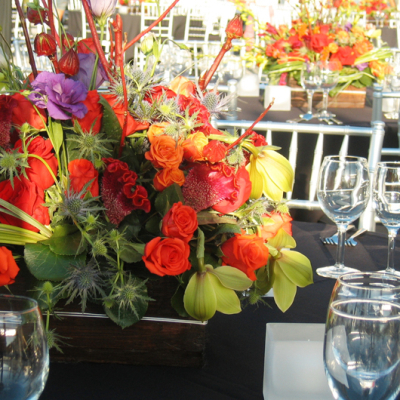 With every flower we place, we focus on conveying your feelings of love and respect. 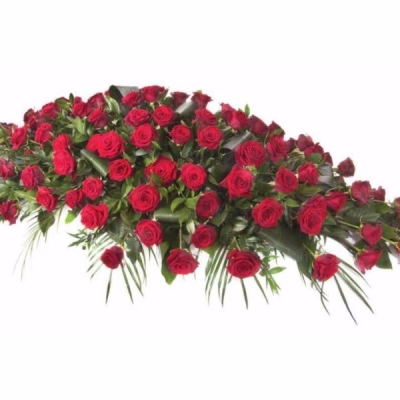 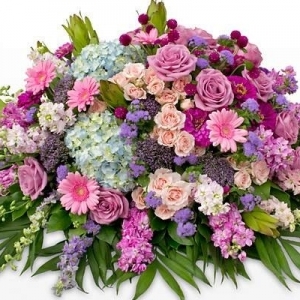 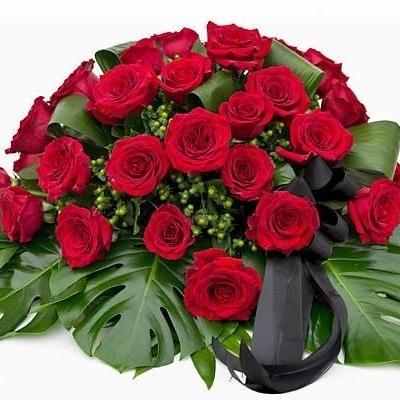 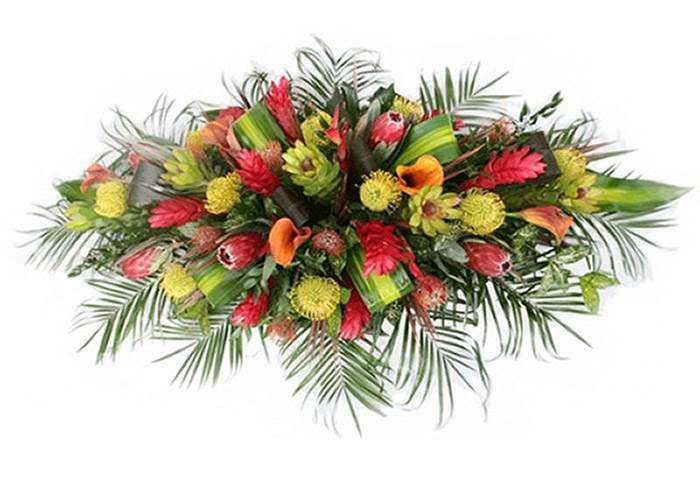 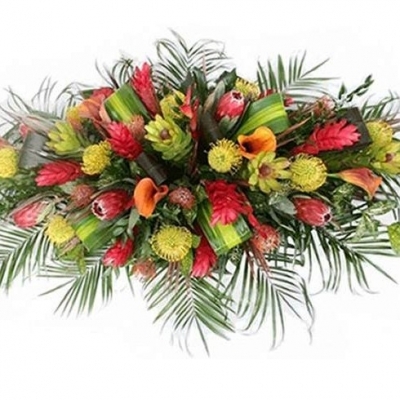 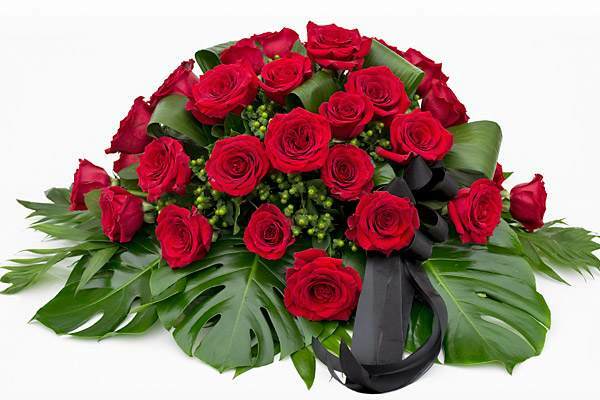 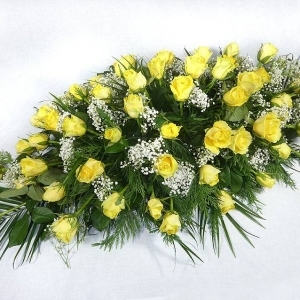 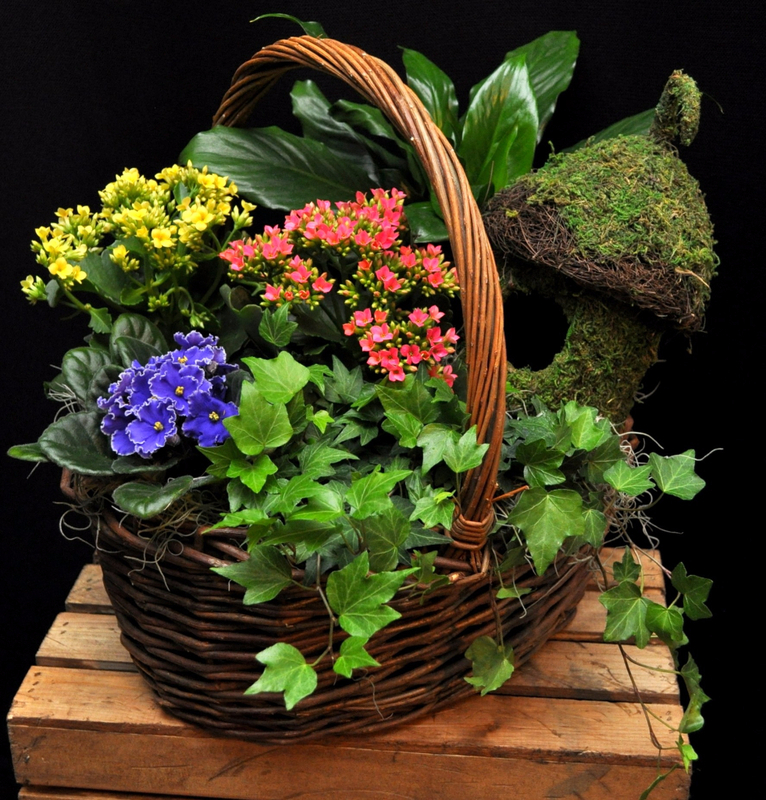 Our caring floral designers will assist you during this difficult time, and make the funeral flower ordering process as easy for you as possible. 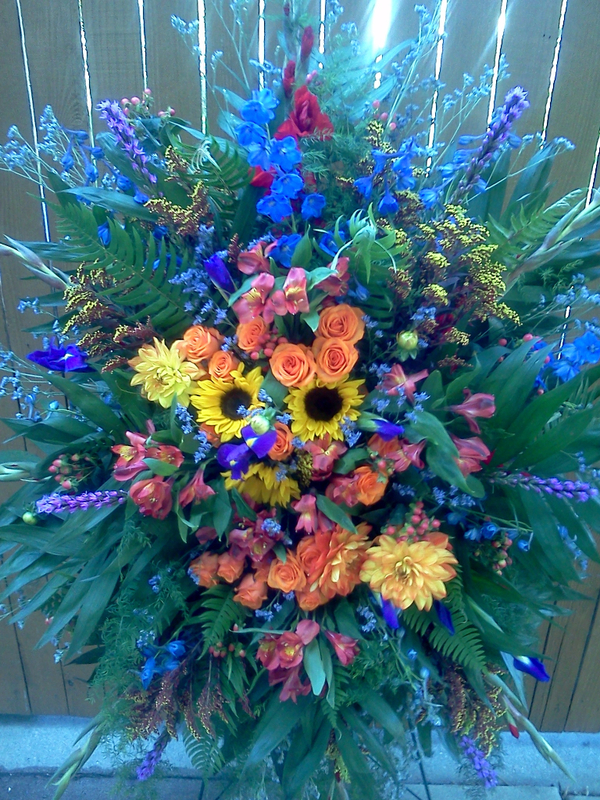 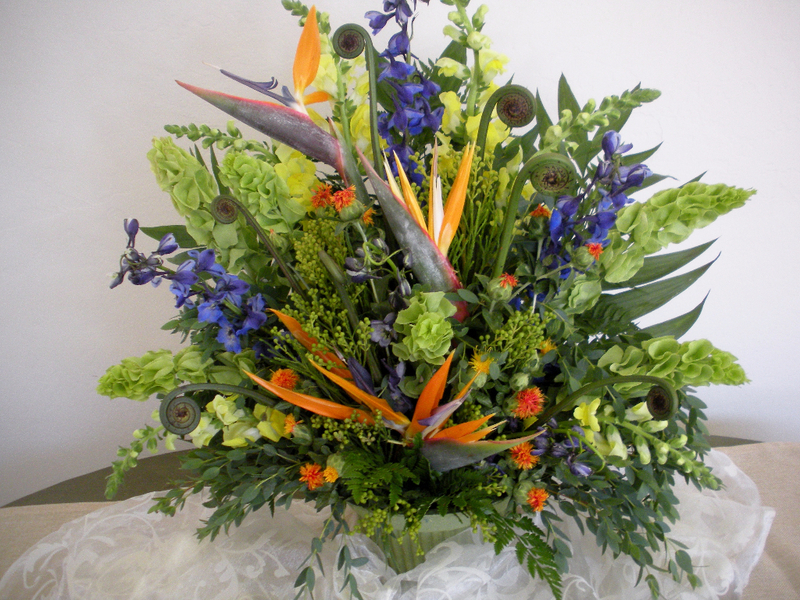 Living Creations delivers your custom flower arrangements to funeral homes, churches and cemeteries throughout Northern Utah, to accommodate your wishes. 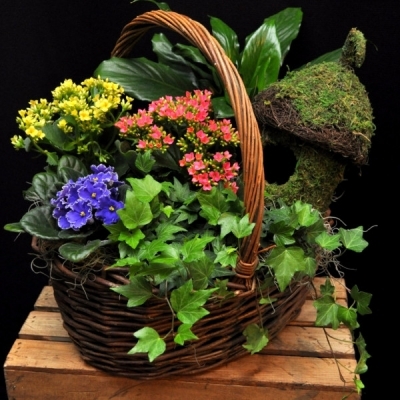 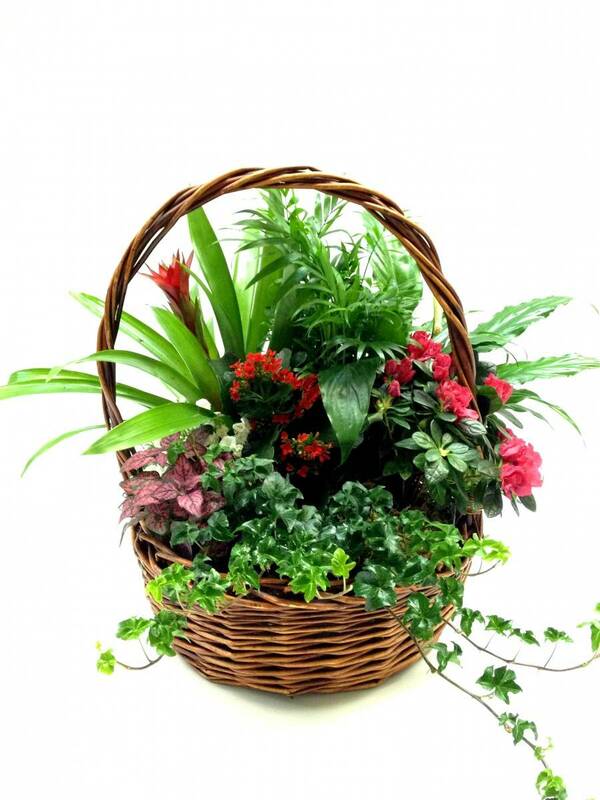 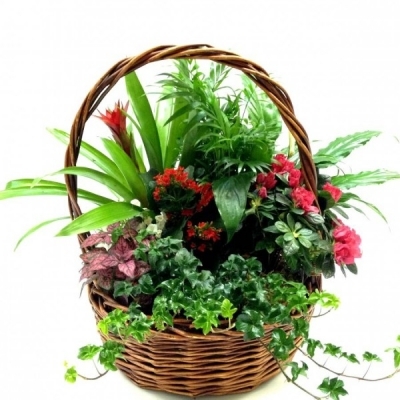 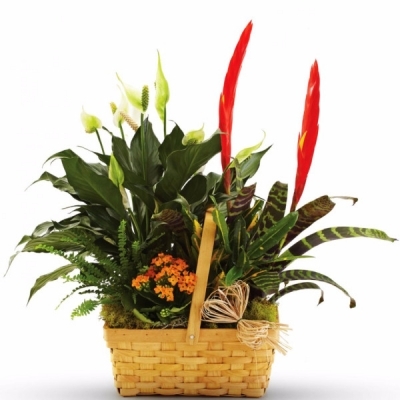 Allow us to create a tasteful and elegant token of your regard for the home as well. 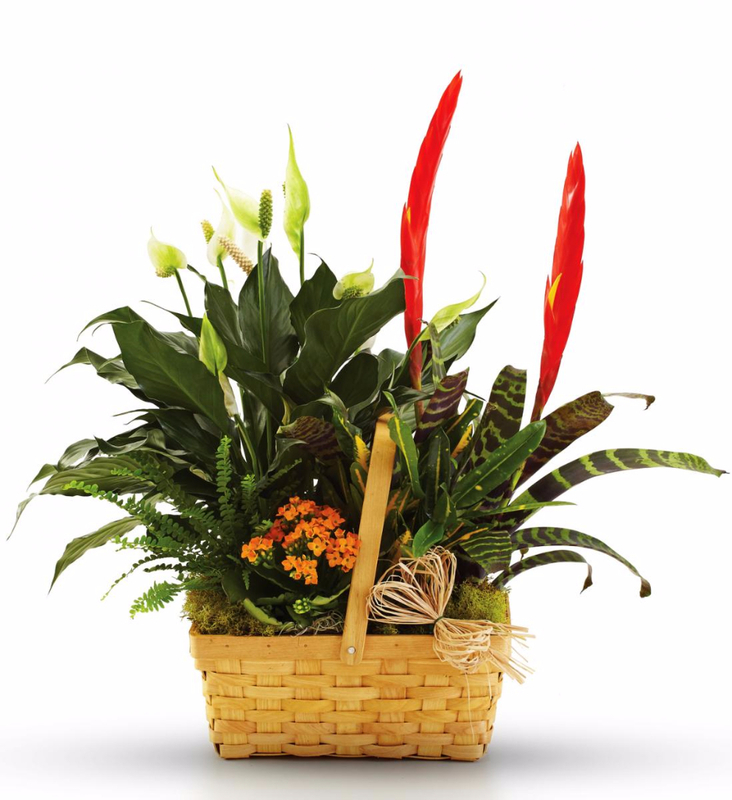 Sympathy flowers and living plants, including peace lilies, palm plants and orchids, are an ideal way to express what words alone cannot say. 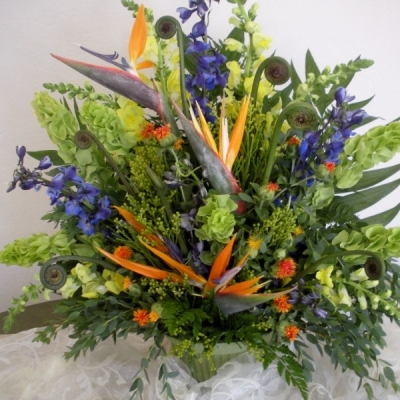 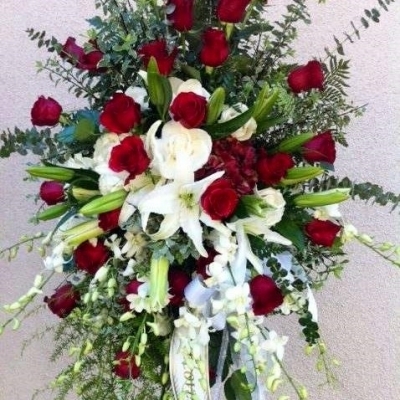 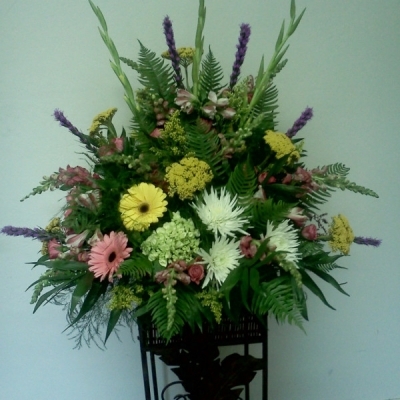 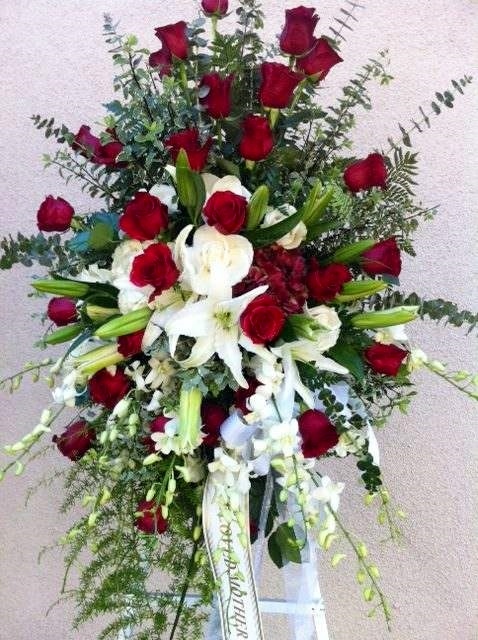 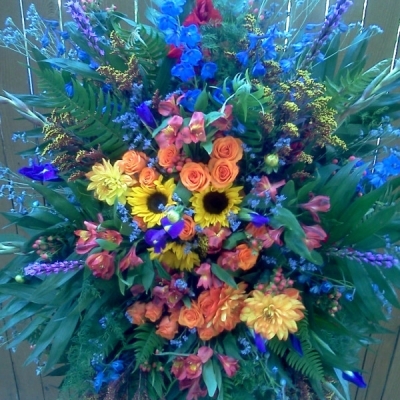 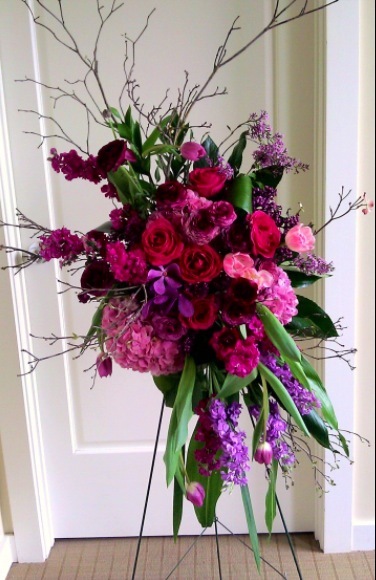 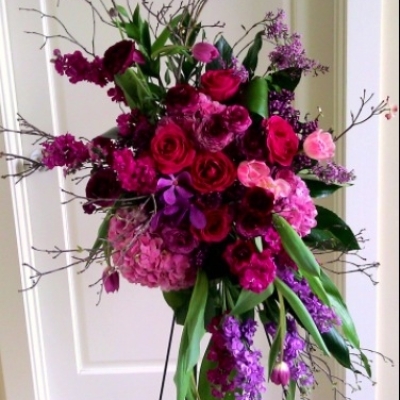 Please contact Living Creations, based in Midvale, Utah, for caring and thoughtful assistance in designing and arranging for your funeral flowers and delivery.